Sheets are made of strong, vacuum formed vinyl. Silk screening brings them to life with color and depth. 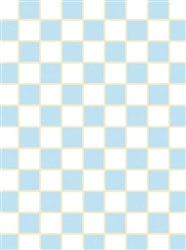 White 1/8" squares Comes in sheets of 10.5" x 8".-- 1/8" light blue and white squares It has a flexible backing for easy trimming and installation. It is suggested to make a template of the space in your dollhouse or room box that you are placing the floor. 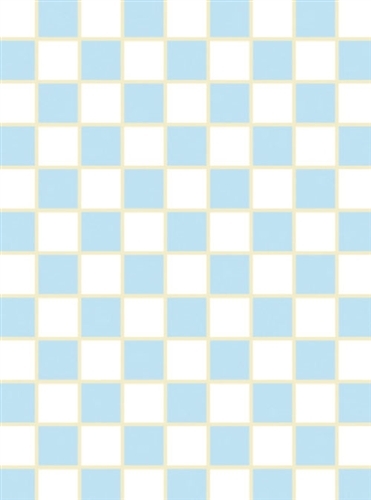 Use the template to cut your floor.